Connect any type of sensor or switch (distance is not an issue) and you can control anything. E.g. connect the motion detector of your driveway and switch on the garden lighting for 2 minutes… The module has very extended timer functions. 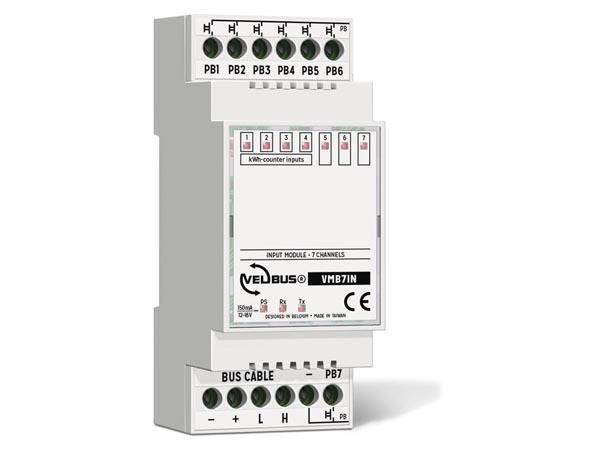 The first 4 inputs can be used as counter inputs for connection of a kWh counter, to measure the power consumption.